Get familiar with the facts about climate change. You can be confident in your ability to work on climate change if you educate yourself. And above all, remember there is hope for the future. There is overwhelming evidence and agreement throughout the scientific community that since the mid-1800s (i.e. after the beginning of the industrial revolution) and especially in the past 50 years, the planet’s climate has been changing more rapidly than normal. The amount of greenhouse gases (GHG) in the atmosphere has been steadily increasing since the mid-1700s. (7) There is no credible way to account for these increases other than through human activities. The cause of increasing levels of one of the important GHGs — carbon dioxide — is the burning of fossil fuels. According to ice core records, the level of atmospheric carbon dioxide reached 400 parts per million in 2014. (400 ppm) This level is higher than at any time in the past million years. Many of the consequences of climate change are very likely to be severely negative, far-reaching, and increase with time. If we care about our children and future generations, we need to take serious action now. Many of the negative consequences of climate change globally relate to water. Parts of the world may see increased flooding and drought. These impact water quality and availability. Those water issues can result in food scarcity. There may also be increases in disease and pest infestations. 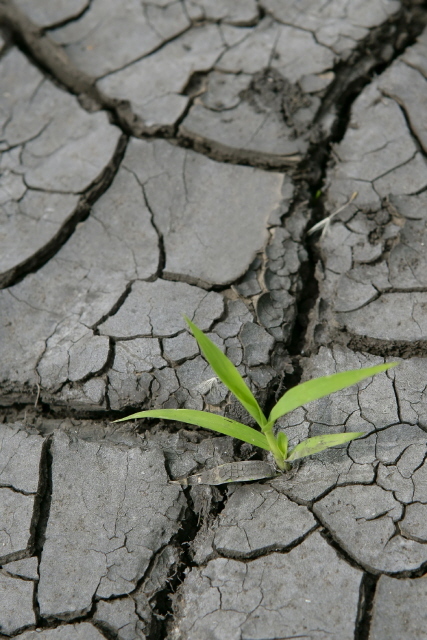 Climate change may eventually contribute to increased military conflicts over scarce resources. Rising costs to deal with all of the issues above will put an increasing burden on governments and individuals increasing deficit and debt. Local self-sufficiency may increase (e.g. more local food, supplies, and services). This may encourage local businesses to build connections and co-operate to meet local community needs as opposed to competing with each other. Water supply — Increased frequency of droughts (especially late-season) may require that we encourage conservation and retain more early-season moisture in reservoirs. Sewerage systems — Due to the anticipated increase in frequency of severe rainfall events, storm drainage capacity may be challenged and may need to be upgraded. Buildings — Municipal, residential, and private buildings may require more insulation and weather-proofing (to reduce energy costs) and may benefit from conversion to new heat sources such as geo-thermal district heating. “While there is a cost to implementing climate protection activities, there is also a cost of inaction.” – In their report The Business Case for Cutting Greenhouse Gas Emissions from Municipal Operations, the Federation of Canadian Municipalities (FCM) dispels the myth that being environmentally and socially responsible is more expensive than doing nothing. Policies and targets being made at the government level will affect you as an individual, and may affect some of the projects you may be doing in your community. Below is a listing of where to get information on policies and commitments at each level of government. Climate Change The Canadian government’s climate change action plan. International Institute for Sustainable Development (IISD) — Climate Change Detailed analysis and progressive policy solutions for individuals, companies, and governments in North America and the rest of the world. Some have a stake in one or more of the industries that believe they will benefit from “business as usual”. An excellent source of information to help you deal with deniers (and help answer some of your own questions) is the Skeptical Science website. Tip! Taking action to reduce greenhouse gases often results in cost savings related to energy conservation. By calculating the cost savings related to climate change projects you may be able to convince people who aren’t persuaded by the environmental issues. The danger of denial is that it prevents or delays us from making the important changes we need to make to address climate change. The clock is ticking; we have a limited time before a warming planet will trigger positive feedback loops that will bring about even greater levels of warming that will be exceptionally difficult to control, let alone reverse. There no option for “business as usual” in the future. The days of abundant fossil fuel that is cheap to find and bring to market are coming to an end. Any way you look at it, in order to have sufficient energy in the future, we need to reduce our demand and we need to find new sources of energy. We can either spend more and more on the old fossil fuels or start to invest in new energy sources that are sustainable. Click here for more resources to help you deal with deniers. Many of the changes required to combat climate change are just good ideas anyway. If we are successful and if we make the personal, community, and international changes required to combat climate change, we can make our world a safer, healthier place for future generations. Now don’t those sound like good ideas? Isn’t that the kind of world you want for your children anyway?